Ray White Blacktown is excited to offer an unique development opportunity in one of the best growth regions in Sydney. The property consists of two blocks with excellent development potential. * Unique opportunity to secure one of the few Prime Development Sites only approximately 360m to Train Station. 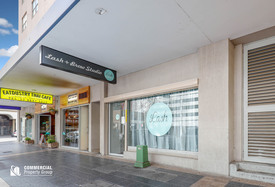 Retail business space situated in the heart of Parramatta CBD. Located in the corner position of Union Street & Charles Street, among some of the areas biggest office towers, food operators, retailers and residential units, with even more to come. Rare opportunity situated within a well presented Industrial development on Prospect Hwy, Seven Hills. The location is second to none and features the following: - 117sqm - Long term tenant of 5 years. Lease expires in December 2019 with option. Retail Shop 66sqm | Ready.. Price: Sale:$580,000;Lease:$36,6..
SOLD BY TERRY COMINO - 04.. Price: Auction Saturday 2nd Apri..